This little tin of goodness is my hair saviour for nights out - its the perfect size to fit in my handbag (well even the large ones are large enough considering the size of my going out bag). 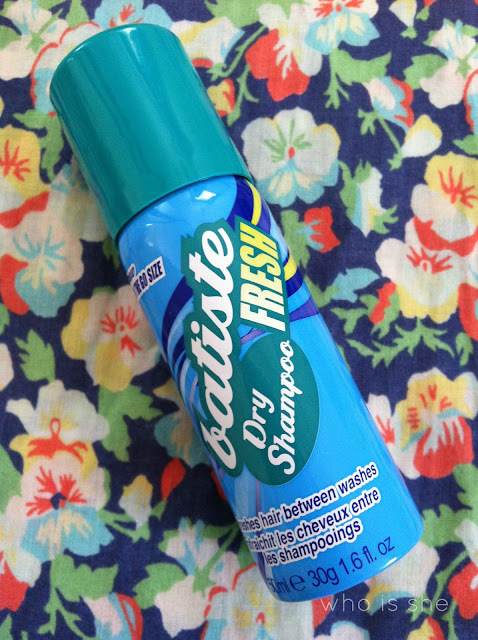 I'm not going to go into detail on how to use Batiste as everyone knows how to use it - however what I will say is that if you have a fringe, or as soon as you step outside the house the volume in your hair drops this is what you need. For volume what I do is spray my roots (including hair extensions), flip my hair upside down and scrunch this into the roots - flip back over and boom hello volume. You can buy a 3 pack of the wild Batiste Minis from Boots for £4.99 however sometimes my local supermarket sells the minis indiviudally - I'd definately recommend picking a few up for nights out/travelling.